Brandt Industrial provides turnkey manufacturing and processing facility engineering, procurement, and construction services to a range of industries, including alternative energy, chemical processing, food & beverage, industrial manufacturing, oil & gas, bio-pharmaceutical, power, semiconductor, and water/waste water. Our team of highly trained engineers, technicians, and technology experts help clients increase quality and reliability, ensure safety, increase efficiency, and optimize productivity. No matter the size or complex nature, our proven engineering and technical expertise allows us the ability to create efficient solutions for new or existing buildings that keep facilities up and running. As an EPC contractor, Brandt applies engineering, technical solutions, and installation strategies that work best for each project. 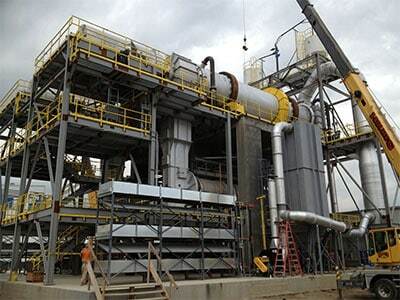 The unique combination of skilled engineers project managers, and highly qualified trades, along with our reputation for safety, quality, and production, has allowed Brandt Industrial to provide solutions to complicated projects in demanding and challenging environments. Our project teams provide a full range of services, from project planning and programming; scheduling, coordination, and procurement; and logistics; along with the technical experience to help our customers tackle their most challenging projects.